Our women clients have truly helped inspire Crimson’s success for these first 5 years of business. 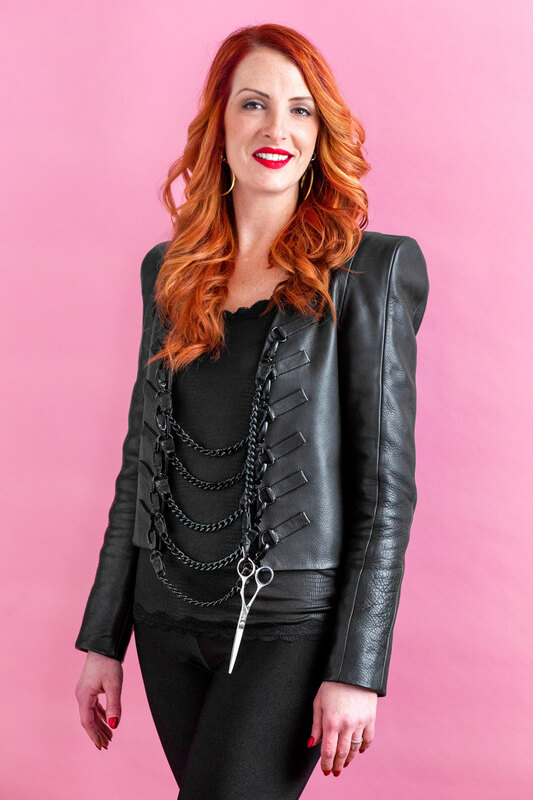 Jen Eberwein, the owner of Crimson Hair Studio, has been in the hairstyling industry for over 19 years and has found it exhilarating to meet and interact with so many strong women clients. 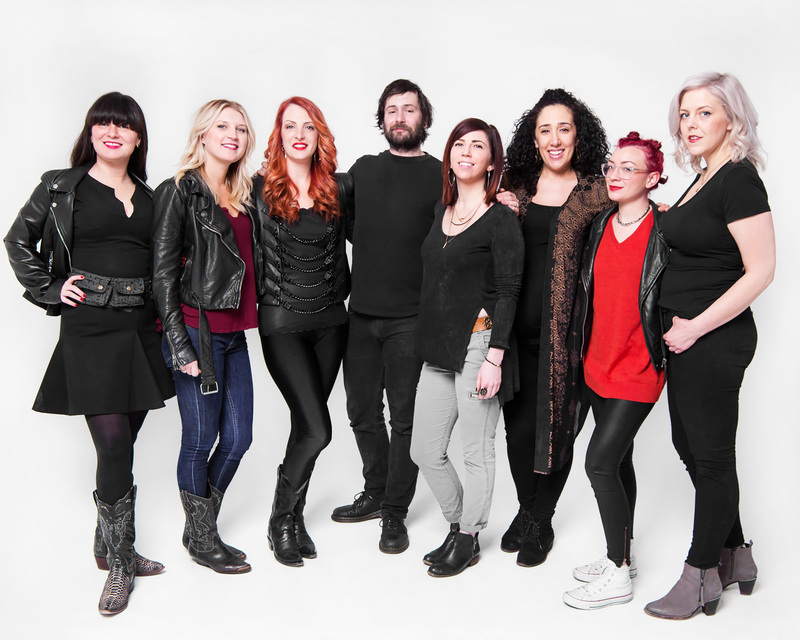 The positive relationships that Jen and the Crimson stylists have with their clients has evolved with their similar, ever-expanding professional goals. Jen’s career as a Salon Owner and Master Stylist has grown into a place where beauty and strength are part of the Crimson culture and it is wonderful to think that one of the most important things all the women have in common, besides a willingness to go the extra distance for their mission, is Crimson Hair Studio and its talented staff of creative professionals. 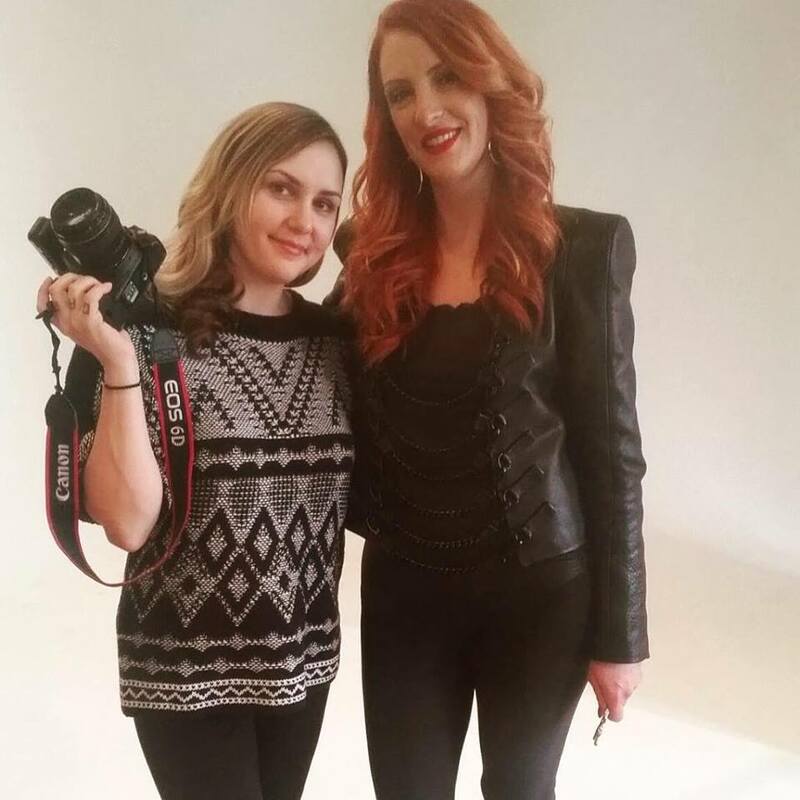 We wanted to take the opportunity to celebrate Crimson Hair Studio’s Fifth Anniversary by honoring the relationships which have helped build up and inspire us by hosting the Crimson: Women In Business Photo Shoot! Our (role)models dressed as they would for a normal day at their ‘office’, and you can see the genuine happiness that each of these women works toward reflected in every photo. Jen and the Crimson Hair Studio Staff are thrilled to share our combination words of wisdom and beautiful images of our wonderful women clients, who have helped inspire greatness in their positive professionalism and industrious creativity. We are proud to have hosted a day of beauty involving women whose experiences created careers that express their true passions! From the time Jen was a little girl, going to the salon to get her hair done was one of her favorite things to do and she chose to became a hairstylist so she could have fun at work everyday. 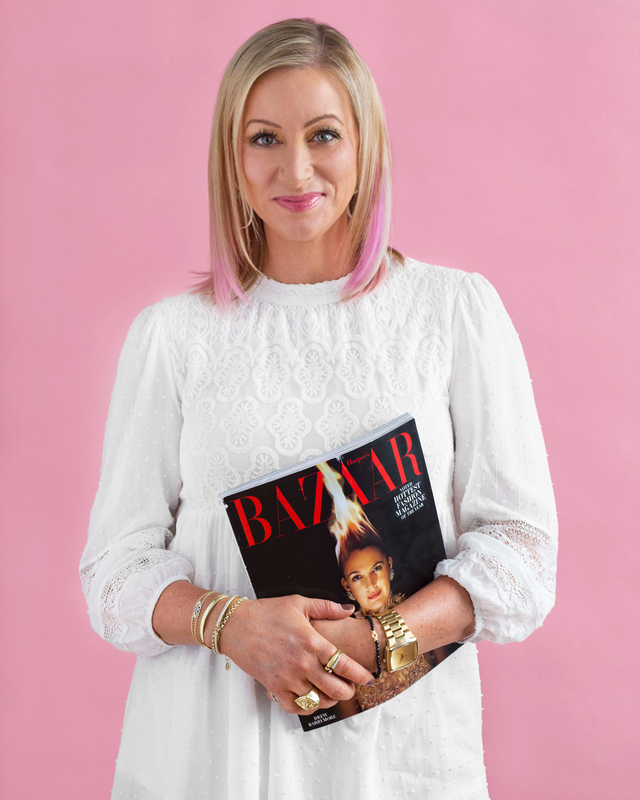 Jen has since further evolved her goals to open a salon that supported her ideals of an enjoyable, professional atmosphere, where everyone works together to create a beautiful client experience. Danielle is inspired by personal ethic and commitment to make the world a better place through her work as an Urban Designer. 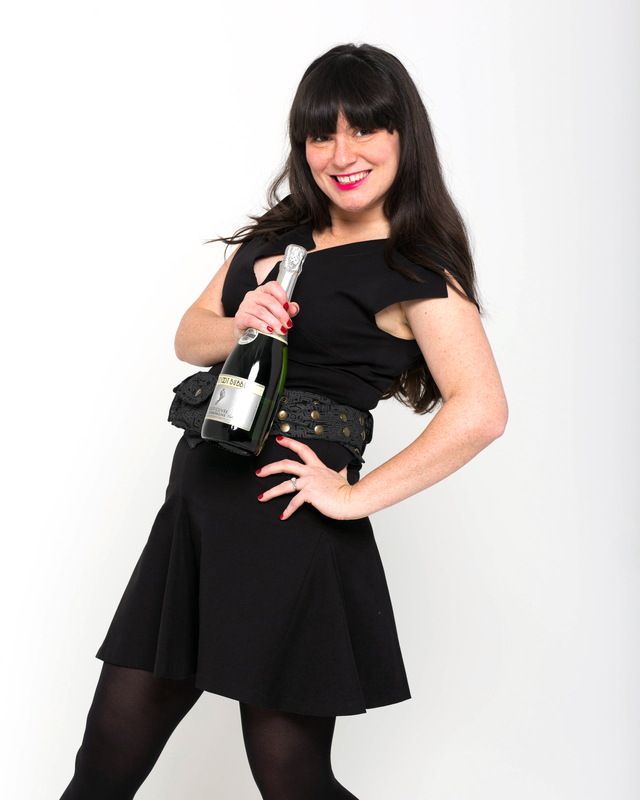 She has recently begun taking improv classes; Danielle believes that the key to your next success is frequently outside your comfort zone and the things you fear may actually be the most fun. Ann is a woman inspired by nature who is able to express her visions of beauty through detail oriented jewelry design. Raised by a vibrant, creative mother, Ann’s life and profession are inspired by her senses, excited by her fine jewelry creations, and empowered by empresses. Toni’s sense of style is established in her engrained appreciation of fine masterfulness and stimulating, expressive opulence. She is a talented, multifaceted artist and business woman whose creative eye sees the possibility for style everywhere. 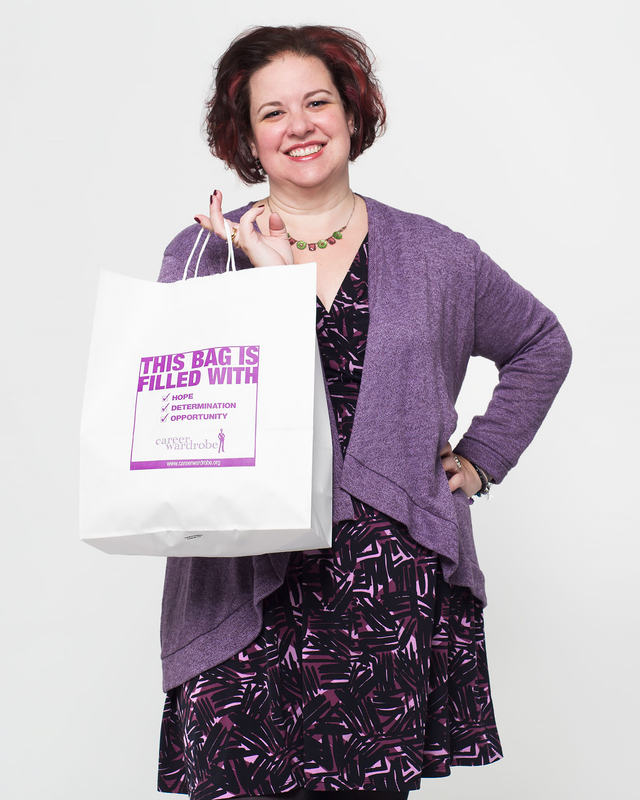 What prop did you bring to Crimson’s Women In Business Photo Shoot to express your career? Why? 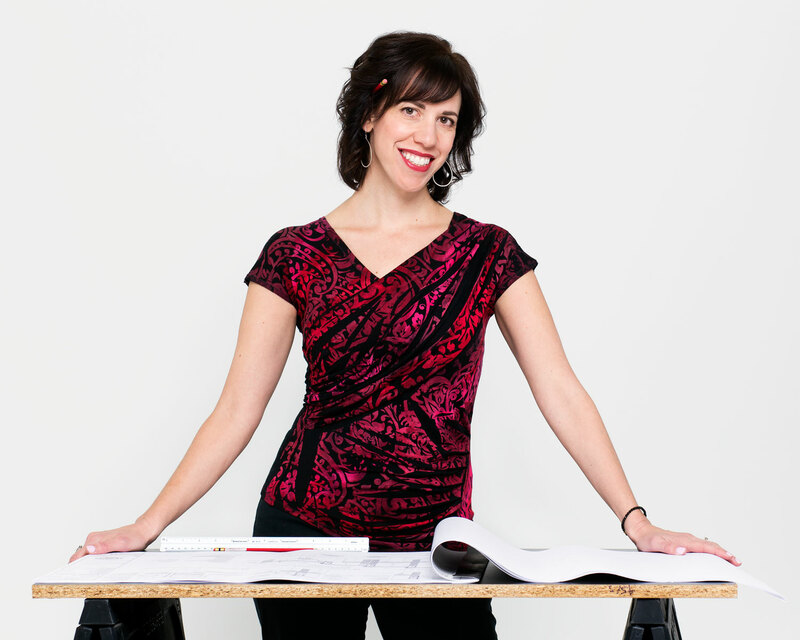 Sheri has made it her mission to inspire professional change through clothing. She is influenced by women who exhibit hopeful honesty, live with integrity, work toward their passion, and use their time to make the world, and everyone’s day, better. Explore Printfresh Studios: Facebook, Instagram,Twitter, Pinterest. Recent Philly Style spread! Amy’s trendsetting designs are cheerful with lush color and joyful, internationally appealing motifs. All Printfresh’s designs begin by being drawn or painted by hand, and Amy’s artistic innovations are refreshed by trips to the beach; her head clears when the landscape is watercolored. Did you have a professional epiphany? Sybil is raising her two sons with inquisitive honesty, exploring and explaining of some of the best experiences in Philadelphia. We admire Sybil’s confidence with forming and sharing her opinions and the pride she takes in her identity as mother and active member of the family community. 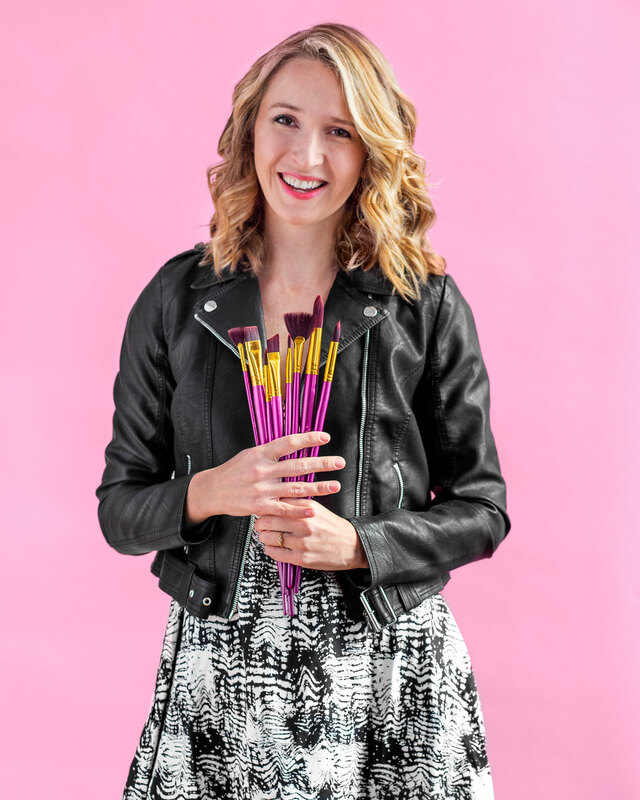 The day of shooting the Crimson: Women in Business photos at Rock Paper Scissors Photo Studio was one that included great teamwork, self-expression, and an opportunity to demonstrate the beautiful ties that connect the Crimson team and clients. Our model’s hair and make-up looks were created by Jen Colloton-Eberwein, the owner of Crimson Hair Studio, and much of the Crimson staff: Danielle, Buddy, Francesca, Em, Jeanne and Sarah. Jen chose lifestyle photographer Victoria Luxx for the shoot based on her sumptuous brand driven female photography portfolio. Dena Merlino Scott, the woman behind Crimson’s social media and communications, was omnipresent as project coordinator, ensuring a fun, fruitful production. Ann King Lagos and Toni Renee Leslie solidified the ties that bind the client stylist relationship by presenting everyone with REALM Fine Jewelry “Bond Bracelets”, for the sophisticated EMPRESS who understands the value of the symbolism and beauty of a friendship bracelet. 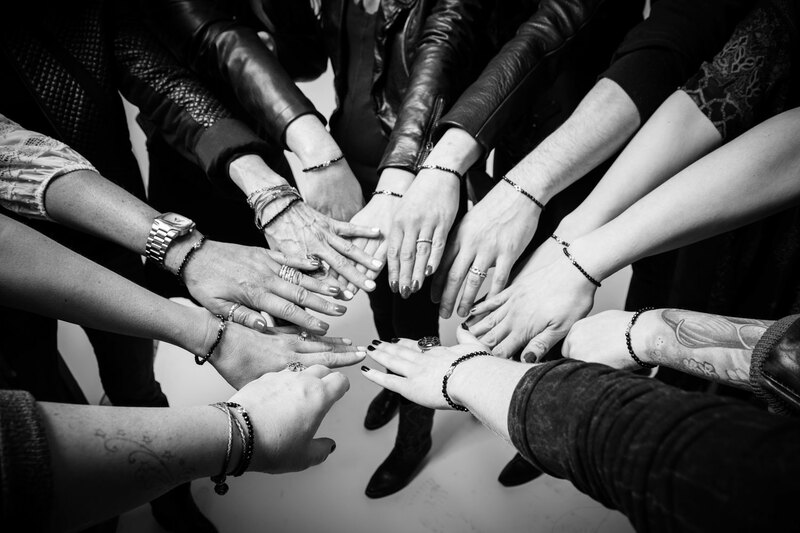 REALM’s jewelry pieces remind the wearer to be both strong and kind in the same moment, to act on their dreams, and achieve goals while leaving an imprint of thoughtful acts along your path, all of which the Crimson: Women in Business photo shoot strived to embody. This fine jewelry piece will always stand to remind us all of the bonds we forge in our careers and lifestyles, and how the strongest ties are those of mutual support and positive friendships. Happy 5 Year Anniversary Crimson!